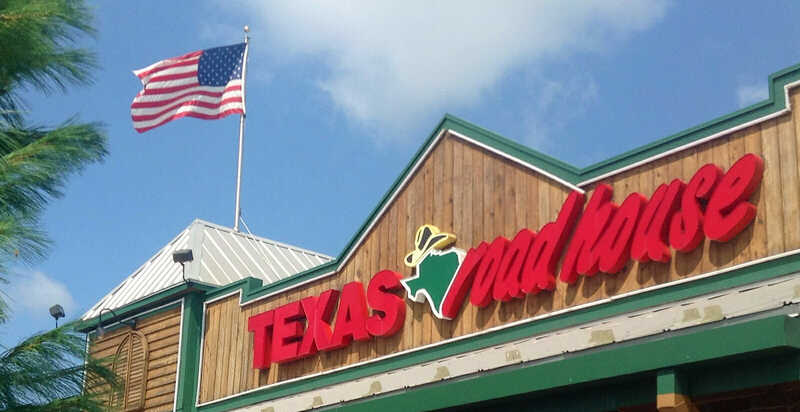 A Georgia man took his mom out to eat at the Texas Roadhouse in Savannah, when his attention became focused on a veteran at a nearby booth. As he sat and watched this man, he couldn’t help but notice what was taking place at his table, and other people’s reactions as they walked by. When the fellow diner decided to do something about it, he got a surprising answer in return. The customer, C. Sparks, described the situation in a post on Facebook. He noticed the gentleman with long gray hair and a scruffy beard sitting at the outside patio while waiting to be seated in the restaurant. The patches on the vet’s jacket stood out to Sparks, showing that this proud patriot had seen a lot in his day, while honorably defending our country. As impressed as he was with this stranger’s sacrifice, other patrons were not. Sparks said that the veteran was friendly to each and every person that walked by. Not a single customer went in the restaurant that he didn’t greet by saying, “Hi, how are you all tonight?” or left without hearing, “Bye, I hope you have a good night.” The veteran treated everyone as his friend who deserved attention, even though he didn’t get it from each one in return. “Most people reacted to him, others completely ignored him,” Sparks wrote. 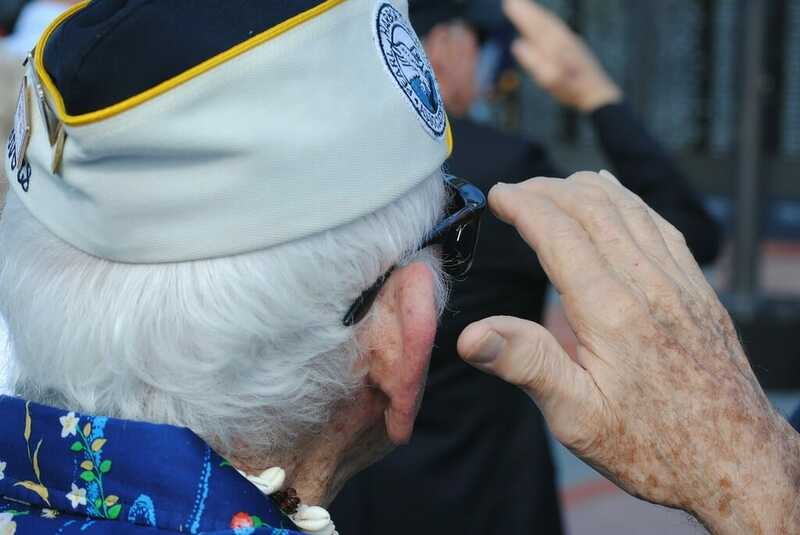 “That didn’t stop him from greeting every person who walked by.” After hearing this veteran while on the way to their seat, Sparks and his mother were placed at a table across from where he was. His attention remained on this guy, as he watched him eat his meal with a huge smile on his face. Then, the waiter walked up to the man’s table. 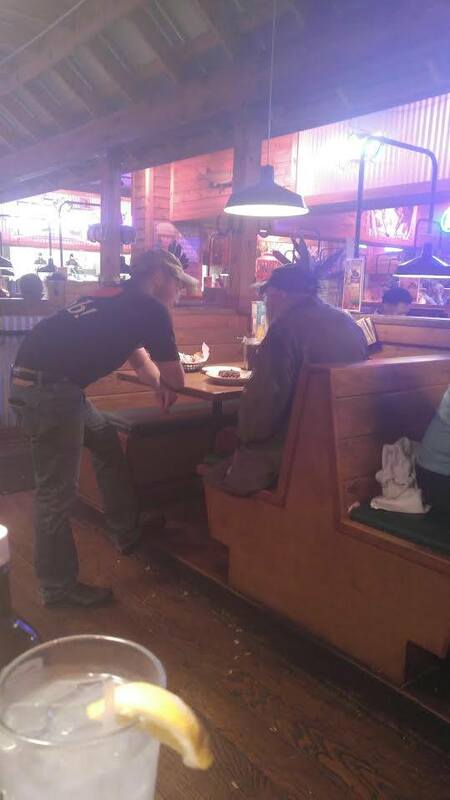 In a restaurant full of people, the patient waiter took particular care of this veteran. He gave him all the time in the world to listen to his stories, laugh with him, and provide a little company for this guy who shouldn’t have to eat alone. It was beyond what’s expected of him as a waiter, but it was clear that he had deep respect and general compassion for this man. Moved by the incredible customer service and wanting to pay it forward, Sparks and his mom called the manager over and asked if they could cover the veteran’s tab. With a smile, the manger was proud to say to Sparks’ mother, “Ma’am, someone else already has.” Evidently, everyone seated in the veteran’s section felt the same way as Sparks, and everyone wanted to pay for this man’s dinner. It’s moving to see that regardless of how many people ignore this man, there are more amazing Americans who recognize him for the hero he is. We need to watch out for our veterans and be kind to them. They are shouldering a lot of pain from war with what they have seen and experienced, all to defend our freedom and pay that tab for us.